So I picked up my first dual line kite at Mastermind toys a couple days ago. Nothing fancy, by HQ, cost about $35. I've always been fascinated with flying a sport kite. And man did I fall in love with this. Did some searching online and am amazed with the tricks and skillful flying that can be had with a proper kite. I literally had no idea that this world even existed but am glad I found it. So that being said, I'm stuck on what to buy. The thing that is my most major concern is wind speed and what is actually available here. I live in Mississauga (still considered toronto) and winds vary. I was considering getting the Prism Zephyr because of it's low speed rating and youtube videos of what it can do. Then I also so comments and videos on the Hypnotist and the price range is a lot sweeter (seeing as it's my first kite) and it also comes with a training DVD. Then I'm also seeing a lot of reviews on the ITW Kymera and needless to say I'm stuck. I think the Hypnotist has it all, except the reviews are mixed. And again, I've only really flown my HQ like 3 times now, and can pretty much keep it in the air with pull turns but can't do much else with it. It's small, is very heavy so tends to just fall out of they sky and I think because the lines are only 20m that is also limiting me. There are a lot of different viewpoints out there. Some people say buy an expensive kite that you can grow into. I have to disagree with this. I think that you should fly the kite you have a little longer, at least a month or two before making the purchase. Get good at landing on the edge of the window, learn some of the ground recoveries, basic push/pull turns (make clean squares in the sky), and most importantly learn to step forward when you are going to crash instead of yanking on the lines. Once you can do the moves I stated above, I would then purchase a good kite that you can grow into. You will notice quickly how much better the kite is if you work on the moves above first. I look at it like a car. Most people would not purchase a brand new car for their 16 year old child who is just learning to drive. They need to learn the basics first. Once you decide to buy, I highly recommend a WidowMaker. I have also heard good things about the Freestylist. Both of these kites are made by Skyburner kites. They are great all around kites. You will find a lot of kites out there that do one or two tricks really great. Well, these kites do everything good so they are great for a beginner because you can learn almost all the tricks with one kite. In terms of wind speed. 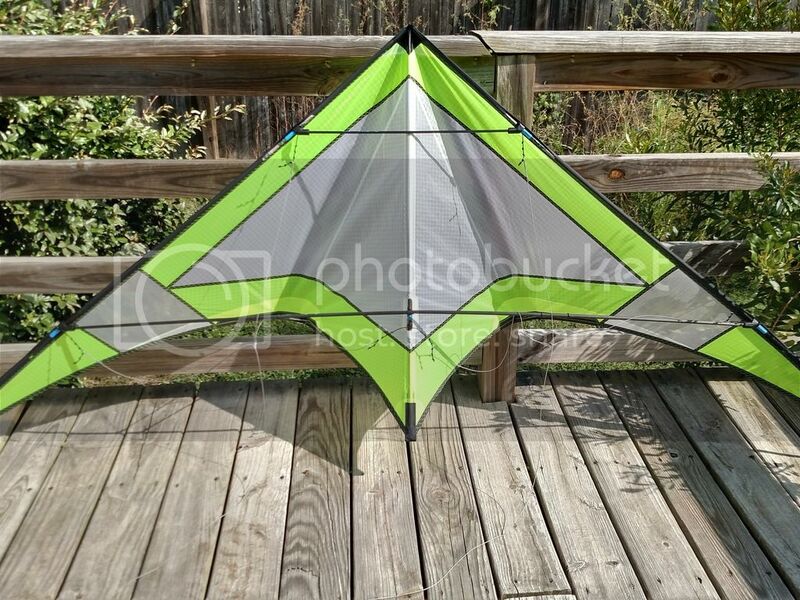 UL kites are great, but not for beginners. It is better to struggle with the wind at first because it will make you a better flyer. Also, please be warned just because someone can fly this kite or that kite in 2mph doesn't mean that you will. It takes a lot of practice to learn the technique to keep the kite in the air in the low winds. Vented Kites are great for High Wind, but most give up their tricking ability. Remember if your wingtips start to shutter its time to put the kite away. I recommend a vented rev for those extra windy days. Good luck with your new hobby. I think you will really enjoy it. If you are still crashing then I wouldn't get a light weight like the Zephyr or a high end kite like the Kymera just yet. As you say, you need something durable and the Hypnotist would fit the bill pretty well. It's big, slow and strongly built with Prism's shock absorber spine system which is good for a beginner, it's also pretty tricky when you start doing tricks and comes with a decent lineset. On the downside it is a bit heavy but should still get you flying between around 5-15mph which again is ideal for a beginner. Another possible suggestion depending on the price and availability over there would be the HQ Maestro ll - similar in size to the Hypnotist and a really good all rounder - I have one which I use a lot. You will notice a big difference between the kite you have now and one of these kites, it will be a lot more responsive and easier to fly. I would also suggest checking out Dodd Gross's 'Flight School' which is available on Youtube - areally good training video for beginners. Kites are sporting equipment, they break sometimes, and then you fix them. I think the Zephyr is a great place to start. It fly's in standard winds just fine. I would not call it a "Light." Of the current Prism lineup it is my favorite and should serve you well. You would quickly outgrow the Quantum or the Hypnotist, get a Zephyr, beat the crap out of it, and have fun! Ideally, I would like to get the Zephyr because of its low wind capabilities. Nothing has been more frustrating for me these last few days than to get to the field and not being able to get the kite in the air. I guess the question is how well does the Zephyr do in strong winds. I just don't want it to fall apart. On prisms website it says it can go as high as 27 km/h. Is that accurate? Any more feedback? Am I approaching this the wrong way? Looks like I will need multiple kites... so question is which to buy first? How are people liking the E3? Do not buy the E3. The Zephyr is a fine kite, once you get the tow points properly adjusted. At the high end of the wind range, the frame is stressed, but I have flown mine in wind gusts greater than 15 mph. 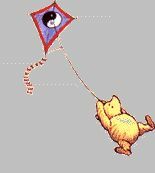 However, this strong of wind is too strong for me to attempt tricks, so I just put the kite away. I would take a look at the Premier Widow NG for your next kite instead of the E3 or Zephyr. These conditions would probably rip the zephyr apart no? When the winds are that strong, I fly my vented revolution kite. I would not waste my time with a dual line. Try the Widowmaker UL - see the other post on best beginner kite - I agree - the Widowmaker tracks great - its not a trick machine but the Widowmaker UL IMO is your best overall two kite combination for precision/trick capability with a reasonable price tag ... very durable also ... solid straight line flying kite ... NICE. I agree with APJ. Once you start learning tricks, you will only get frustrated when flying in less optimal conditions. Unless I have something in the bag that will match the wind, I find something more fun to do.